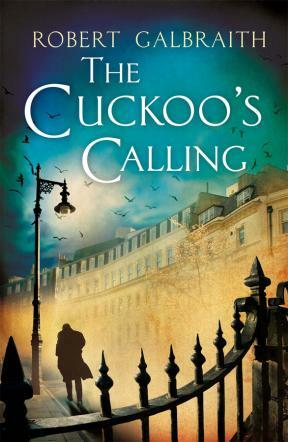 ‘The Cuckoo’s Calling’ by Robert Galbraith – a pseudonym for J. K. Rowling, is the first in the mystery series ‘Cormoran Strike’, titled after the main character. We meet Cormoran Strike when he’s down on his luck, so much so that he’s taken to living in his office – a long fall for the man who used to be in the army. Then, luckily, John Bristow walks into Strike’s office with a job for him – prove the police wrong by discovering his sister’s killer. The case was ruled as a suicide, but Bristow is adamant that couldn’t be true, and he hires Strike to prove it. Armed with a new assistant and finally with a little money to his name, Strike sets out to do his job. The fact he’s investigating a supermodel means he’s soon pulled into the lives of those rich and famous, but even Strike’s steady head and nerves aren’t quite ready to deal with what is soon thrown at him. I honestly kept forgetting that the author is our favourite Rowling as I read this – I even thought at one stage that I needed to look up the author to see if he had written anything else. The writing may not be out of this world, but it was a comforting loose, enjoyable read, and I love books that capture the feel and echo of London. Rowling manages to write characters that aren’t exactly likeable, yet she still manages to make them likeable, if that makes any sense at all. They’re real and flawed but entirely realistic. The book itself is very much grounded in reality. While not teeming with original ideas, it is unmistakably a very well written and clever detective novel and I look forward to more, though it’s a pity Rowling was ‘outed’ as the author against her wishes as it sort of skews perceptions of the book when the author is such an acclaimed one. Perhaps I’ve been watching too much Luther, but if they ever develop this series for the screen, please let Idris Elba play Strike. Our protagonist is quick-minded and easily likeable and is what makes the whole book so very entertaining as he puts the puzzle together bit by bit. It might be a little typical story-wise but that’s by no means a bad thing. In fact, it’s exactly what the book is supposed to be, and it’s very good at what it sets out to do. Rowling makes a tired story somehow refreshing and above all else, very, very entertaining. This review was originally posted at SentientOnline on the 7th February 2014.